This is the actual *meaning* of the term "double-standard". I'm white and I've been asked to leave a Starbucks because I didn't order something more than once). I don't know if it would have escalated to them calling the cops because i either leave (or just go outside) or order something. I haven't heard/seen the actual story so maybe there are factors that make it worse, but asking someone who has not spent money in your establishment to leave so the seats are available for paying customers is a common bussiness practice. Hanging out somewhere you aren't buying from is also called loitering, and is illegal if signs are posted (but only enforced as such if you refuse to leave when asked). ALLOWS BLACK COFFEE TO BE ORDERED. 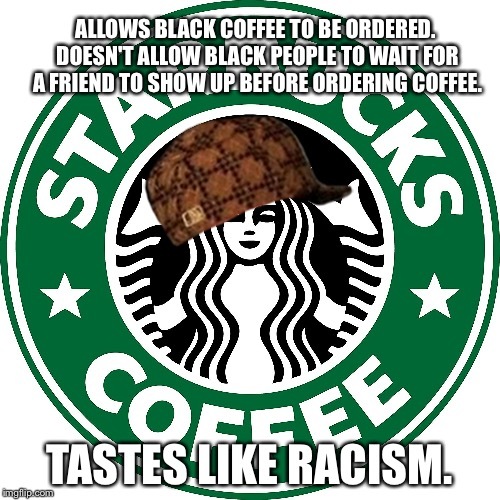 DOESN'T ALLOW BLACK PEOPLE TO WAIT FOR A FRIEND TO SHOW UP BEFORE ORDERING COFFEE. 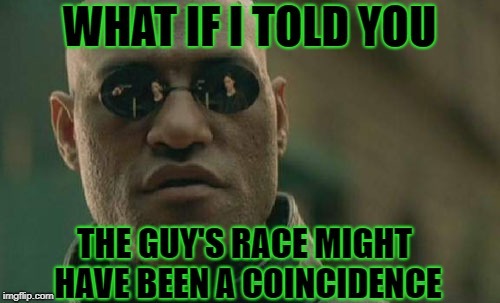 TASTES LIKE RACISM.